"Once I was settled enough with my job and had saved some money, I knew it was time to take the dive." Meg is a young professional living in San Diego. In 2010, she'd been in San Diego for two years and was tired of paying the high rent with no equity to show for it, so she decided it was time to buy a condo. Step one was to find a real estate agent. Since I hadn't ever worked with one before, I started asking friends and co-workers for recommendations. One of my co-workers had an agent she really liked - so she sent me contact info and I gave her a call. Obviously - budget was a big concern... and working with a limited budget in a very expensive city is not an easy thing to do. At our first meeting, I had a serious talk with my agent about what I could realistically afford. Together, we caculated my maximum mortgage payment and to talk about costs I hadn't considered, like HOA fees. I was worried that a mortgage payment was going to be significantly higher than the rent I was paying for the same type of residence, but luckily, I was wrong! I also had a good idea of what parts of town I was interested in living in - and knew of a few areas I wanted to avoid at all costs. I talked with my agent about what parts of town were most realistic for my budget and must-have list, then my agent started looking. I was really lucky to have an agent who was very patient with all my "first timer" questions. That was a big help for me throughout the process. However, when we first started looking for properties, I didn't feel like she did her due diligence. The first few condos she took me to look at were really missing the mark when it came to my must-haves and location requirements. I wasn't willing to take on a crazy long commute (and she knew that) but was showing me properties that were far from work anyway. I have a busy life and a demanding job so taking the time to look at properties that I already knew weren't going to work felt like a big waste of time. After this happened several times, I talked to her about it and she started working harder to cater properties to my needs. After several weeks of hunting, we found a great place in Mission Valley that fell right in the sweet spot for my budget and must-have list. I spent just a couple days contemplating it, then I put in an offer. There were two other bids in on the property, but ultimately, mine was accepted. I was so excited to be a homeowner! Then, when everything should have been settled, a new stress popped up. The closing was supposed to take 30 days - but it began to drag on and on. The escrow firm was dragging their feet and I got frustrated as days passed with no progress. I really wished my agent had been more assertive in helping to get things moving. Ultimately, everything came through and I got the keys to my first home. My agent gave me a great gift basket with champagne, chocolate and a couple home improvement gift cards, which was a really sweet gesture that left me feeling like I picked the right agent. I'm so glad I had a professional with me to help me through the process. 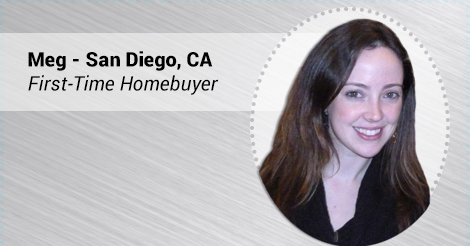 Meg, a first-time homebuyer, found an agent through her coworker and ultimately found a great condo. Meg's agent was very patient with all of her first-time homebuyer questions, a trait that was greatly appreciated by the uncertain homebuyer. Meg felt like she was wasting time looking at properties that didn't match her must-have list and was disappointed in her agent's lack of assertiveness when escrow ended up taking twice as long as it was expected to. If a client expresses an absolute deal breaker (example, a neighborhood they are not willing to live in no matter what the property looks like), don't show properties in that area. Instead, spend the time you would have spent arranging a showing researching alternative options that are a better fit for your client. Be assertive! Your client is paying you for your expertise and they expect you to manage any unexpected bumps in the road that pop up throughout the transaction. Be prepared to go to bat for your clients. Catering your real estate marketing to attract first-time homebuyers will allow you to effectively generate new business that will also be repeat business in the future. make sure yours is a good one!